When Keith McNally opens a restaurant, it’s like someone unloaded a truck-full of people and told them to raid the place all at once (think Balthazar, Pulino’s, etc). The restaurant opens at 5.30pm, and by 5.31pm, the entire front area was packed to the brim. 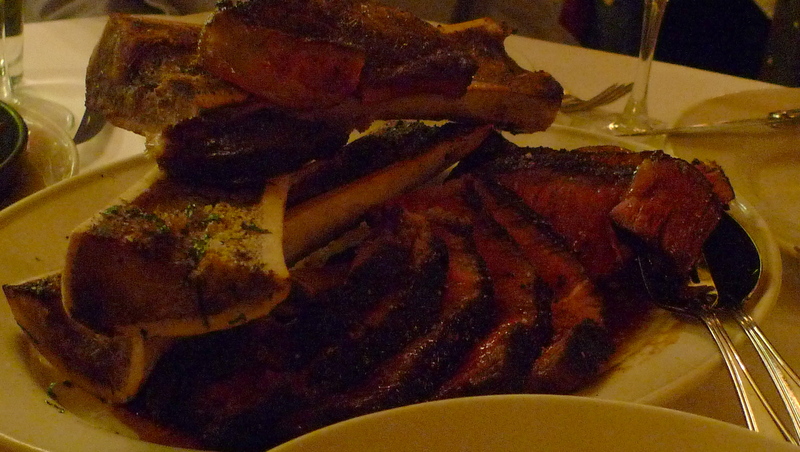 I made the reservation a month in advance for one reason and one reason only: the Côte de Boeuf. Cooked medium rare, the aged strip was juicy within and exceptionally flavorful on the outside. Did it live up to my expectations? Yes. But sadly, that was the only thing that did. The service was spotty, and our waitress was giving us some really strange attitude. 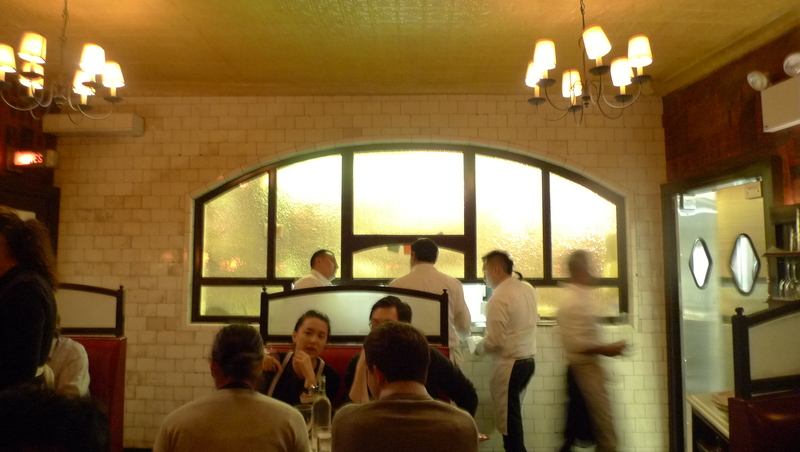 There was some rule about not being able to take pictures of the restaurant. The only people who didn’t disappoint were the busboys. For a party of 5, we ordered a sardine appetizer, 2 Black Label burgers, the Pasta Za Za, the Côte de Boeuf and a bottle of wine. It was mildly satisfying, and if we were to do it again, we’d probably do away with the pasta and order another serving of the meat (though do note that it has a hefty $110 price tag). I’m not a big fan of restaurants that are apparently frequented by a lot of celebrities because it’s a brewing ground for snotty behavior, weak-sauce service, ridiculous queues to get in and overhyped food. 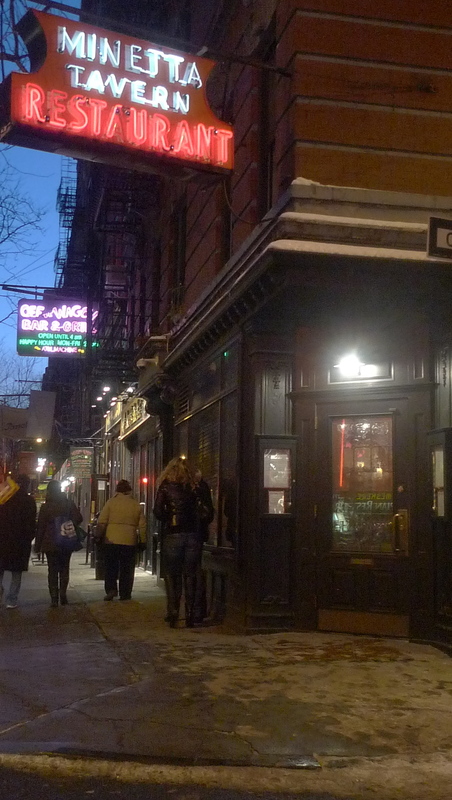 Minetta Tavern falls under that category unfortunately. I would still recommend going just to try the aged meat: Black Label burger or Côte de Boeuf. McNally doesn’t disappoint in the realm of aged beef.